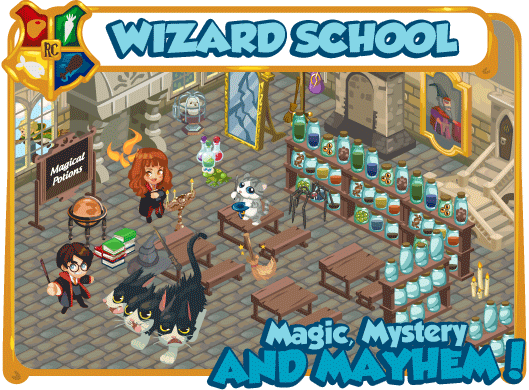 Frankly, the Wizard School theme is clearly biting off inspired by the Harry Potter series. Especially considering this set of items comes just in time for the November release of the seventh film based on the infamous novels. You'll also find decorations like Harry Butter and Ham-oniony (who comes up with this stuff?) as well. But Playfish knows what you really want: the recipes. So, this week both Chocolate Toads (sound familiar?) and Butternut Squash will be added to the game. But this is just scratching the surface of what's to be introduced tomorrow, so take a look at the full list on the Restaurant City Blog and brush up on your spell book for when this new theme lands tomorrow. Excited to turn your restaurant into a whimsical wizard school? Which items will you be picking up first? Sound off in the comments. Add Comment.